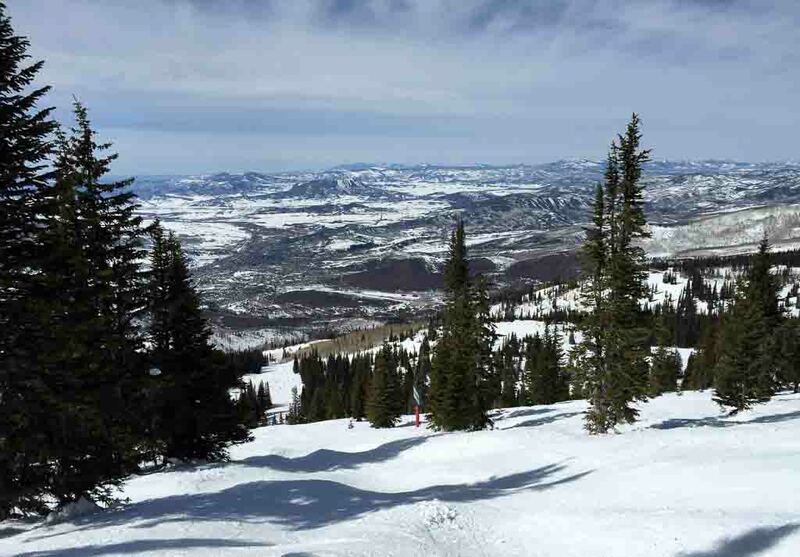 We don’t alway get big snow in Steamboat in March. The tracks of weather that swept through Northwest Colorado in earlier months give way to blue sky, bright days and clear, chilling nights. While we await the next blanket of snow, we still look to comfort foods to feed the family and the soul. Stew is the answer to my meal challenges when I want a warm, satisfies-all, one dish meal on these winter nights. Peanut butter thickened vegetable soup may seem strange, but this recipe for Spicy African Rice and Peanut Stew is my most requested recipe. The combination of sweet potatoes and garbanzo beans provides a luscious backdrop to the spicy green chili salsa that provides the kick. You can stop short of adding the peanut butter and have a wonderful soup to serve someone who can’t eat nuts, but adding the peanut butter takes this dish to the promised land. Silky, rich broth with just enough spice to make the vegetables, beans and rice jump with flavor makes this stew such a satisfying meal. This hearty stew makes a great one-dish meal for a crowd. Take it to a pot-luck and you will be famous! Heat oil in a stockpot, and then add the onion and sweet potato. Cook over medium heat until the onion is tender and the sweet potato starts to soften, about 5 minutes. Add the garlic, thyme and cumin and continue to cook for 1 minute. Stir in the broth and bring to a boil. Add rice and then reduce to a simmer. With the lid off, stir occasionally until the rice is tender, about 35 minutes. Stir in the salsa, garbanzo beans and zucchini. Simmer for 15 minutes or until the zucchini is soft, stirring occasionally. This is a large recipe, so you might want to freeze half for another meal. For the portion that I am freezing, I leave out the peanut butter and add it later when I thaw it for serving. This recipe can also be found in the Routt County Fair Family Favorites cookbook. It’s going to be your new favorite- I promise!